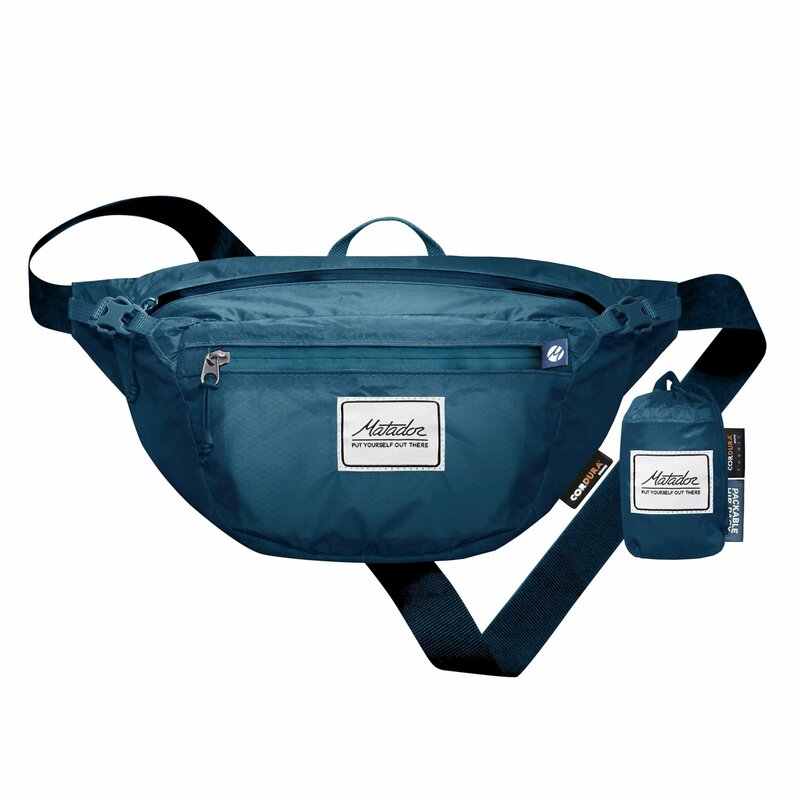 The Matador Hip Pack is the perfect hands-free place to keep your essentials. Ideal for festivals, hikes, travel, or exploring. Keep your wallet, phone, passport, or anything else you need conveniently tucked away. Packs down to the size of a small lemon so that you can have it on hand when you need it. Yes, we did just make a fanny pack.